​WASHINGTON STATE, FOR AS MANY HOURS AS YOU SEE FIT! As with all of our races, all proceeds go to local trails. This race is actually an Endless Trails fundraiser! 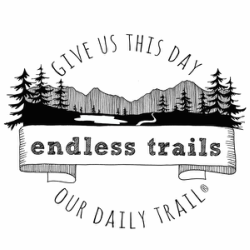 Which means any additional proceeds outside of permit fees and awesome aid go directly to Endless Trails operating costs and directly back to local Northwest trails. It also means we'll give you extra high-fives of gratitude every lap you run. It's our beloved Carkeek 12-Hour loop, but run in the opposite direction so it's like A WHOLE NEWWWW WORRRRLD [Picture us singing that like Aladdin does, obviously]. It's honestly REALLY ridiculously fun [See also: really ridiculously tough], and you can run for one hour, or four hours, or six hours, OR make our day and [be a total baller, and] run for all twelve hours. In addition to being tough and F-U-N, our races are also low-impact. You won't find any paper products at Cottontail, and we avidly support local businesses [which means nearly all aid and raffle prizes will come from the Seattle area]. 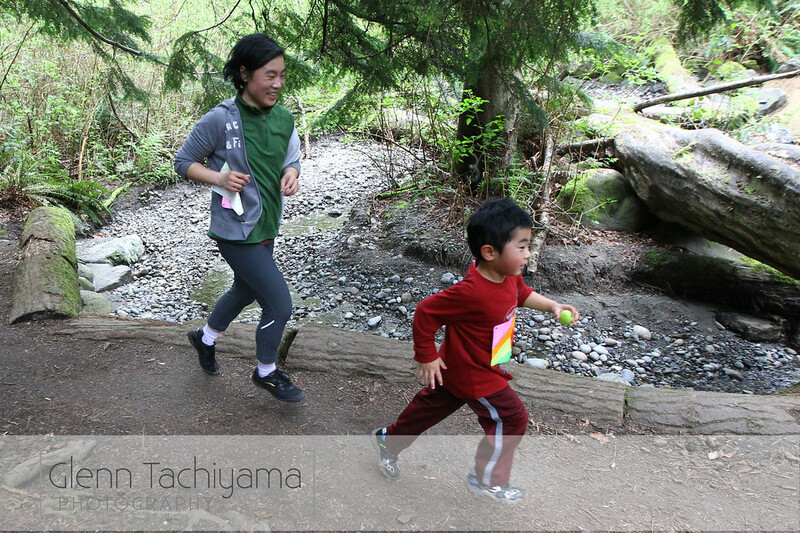 With gorgeous views of the sound, varied terrain [rolling trails, steep stairs, a section or two that might generously be called "flat"], and a festive atmosphere, we think this is a race you [and your family, and friends, and well-behaved, leashed dogs] will just keep coming back to - one 1.93-mile-loop at a time. Each loop has 436' of brutally beautiful gain, so this "race" will definitely challenge you. But we promise you'll love it (even when you hate it). If this detailed description of the event feels somewhat vague, don't worry—We promise we send out more detailed info to all registered participants as we get closer to race-weekend. But if you're looking for maps or a "detailed course description" you're not going to find that here. Or anywhere. Part of the fun of Cottontail is how low-key and old-school it is, which means we don't sweat the small stuff (and hopefully you don't either!). We hand-make our bibs, count laps with star stickers, and hide Easter eggs as you run loops, so basically we're trying to tell you that you're in for a really really FUN day. Cottontail is also GREAT training for any sort of tough and technical race (it's especially great for ultra-distance/100-miler training! ), for helping you run more miles than you previously thought possible, and for making you feel simultaneously so proud and like you want to cry by the end of the day (it's all very confusing, and very awesome). Questions? Comments? Favorite color PEEP?